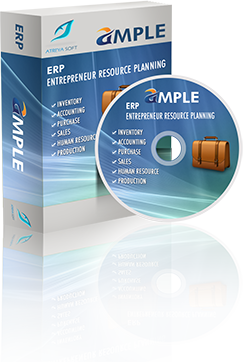 ERP is a software package developed for optimum use of resources of an enterprise in a planned manner. ERP integrates that entire enterprise starting from the supplier to the customer, covering logistics, financial and human resources. This will enable the enterprise to increase productivity by reducing costs. ERP is a package for cost saving. Once the ERP is implemented, a single solution addresses the information needs of the whole organization. Optimizes the manufacturing capacity, components and material resources using historical production data and sales forecasting. See your customer order management getting easier day by day with the help of our sales module. Inventory Management Module provides a powerful and flexible set of features to help you manage and report your inventory information. Streamlines procurement of required raw materials, packaging material, sub assembly and other non-inventory materials. The management of human resources and capitals. It comprises of four broad sections, Training, Recruitment, Payroll and Attendance. Not only monitors quality of purchasing and manufacturing but also provides real-time process capability index for quick review.